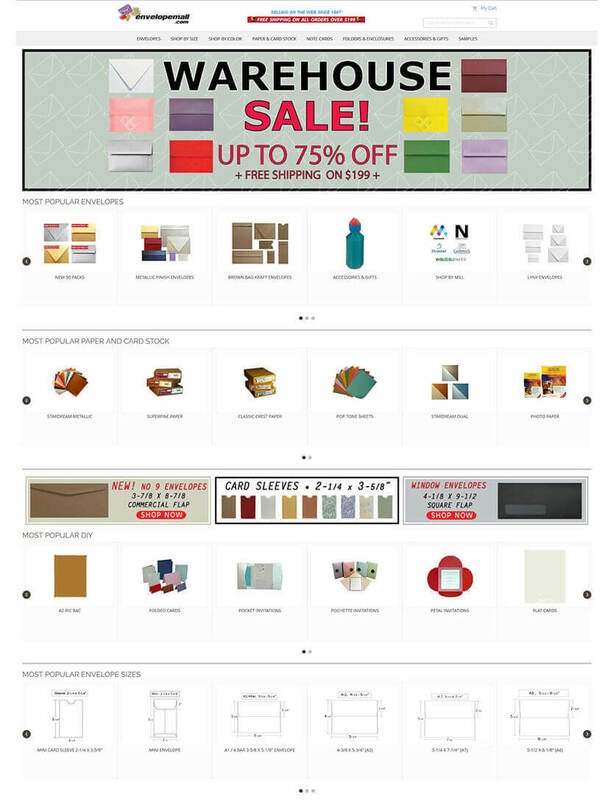 Envelopemall is a US's online shop for large selection of envelopes. It offers a wide selection of today's finest specialty paper, envelopes and converted paper products. Envelopemall.com required unique eCommerce design to make shopping enjoyable and satisfactory. For that our eGlobe team added several filters to search options so that the customers find the necessary item faster in such a way that more visitors are attracted to the store. We provide item search features to their site by adding filter options which attracted a wide range of customers. Envelopemall despite a rich variety of quality products and plenty of webstore options, is still very comfortable to surf the shop due to simple payment system and page speed optimizations. A team of eight Magento experts from eGlobe migrated their existing site from Magento 1 enterprise version to Magento 2 community edition. They also fixed some major Magento 2 bugs which were affecting the performance of the site. Time taken for migration – 3 months. eGlobe also takes of site maintenance.